Textured nails still reign strong this Spring, and you’ve got lots of options. For less waste, put the flocking in a sealed plastic bag, then dip the client’s finger in it. 1. Caviar isn’t just for the rich and famous. Most clients can afford some tiny beaded bling for their fingertips. Tip: Try mixing multiple bright colors of beads together and dubbing it a “gumdrop manicure.” Shown: Layla Caviar Effect Nail Art. 2. Crush the competition by offering a “crush manicure.” These flirty embellishments work especially well when embedded in acrylic. 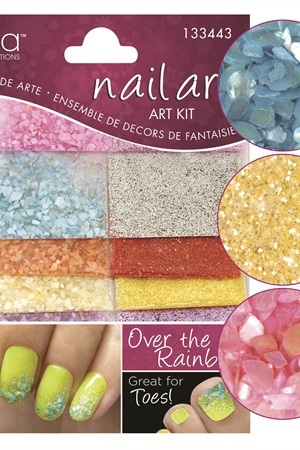 Shown: Cina Over the Rainbow Crushed Shell & Glitter Kit. 3. Sequins are an eye-catching option. Try offering it to your teen clientele during prom season. 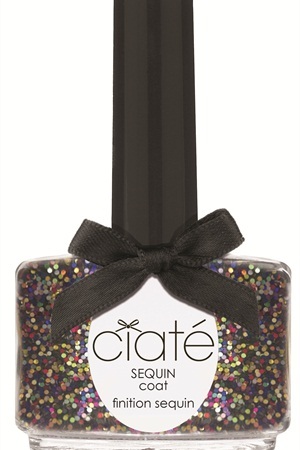 Shown: Ciaté Sequin Coat.